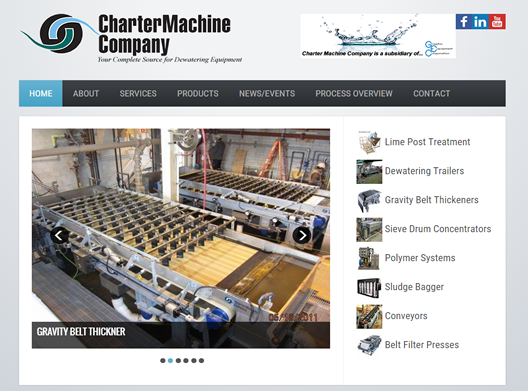 2015: We updated Charter Machine Company to the newest version of Joomla, Joomla 3.4 2009: Charter Machine Company initially had a HTML static website. I took all of the content and re-worked it to be a functional and easy to use website for them and for their clients. One goal of the site, is to have their clients be able to easily printout a fact sheet about any product, using tabs, and easy layouts we were able to achieve this.